The Northwest Research-Extension Center, located in Colby, Kansas, is a unit of K-State Research and Extension. K-State Research and Extension is a partnership between Kansas State University and federal, state, and county governments. 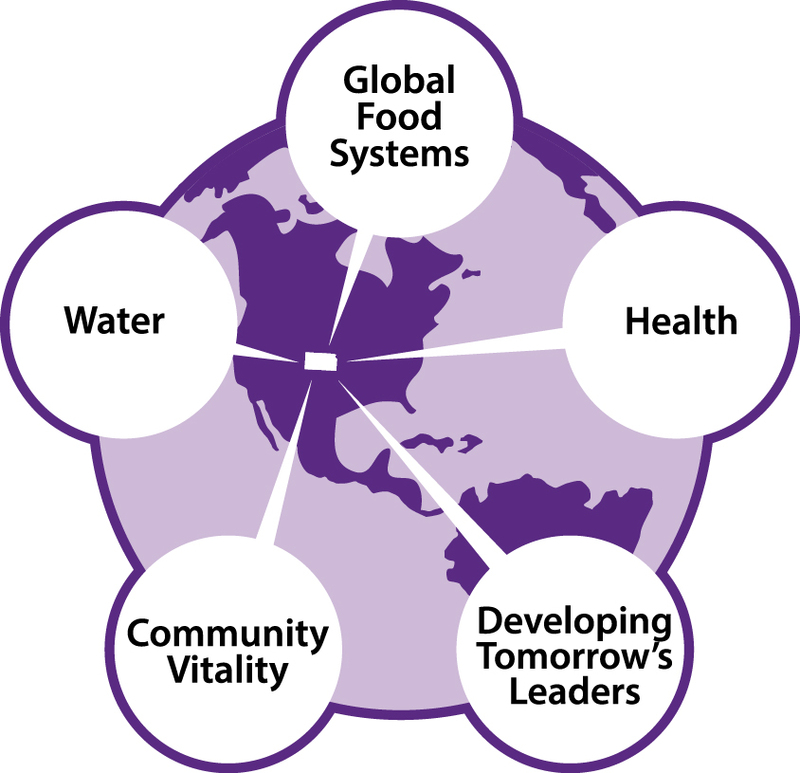 K-State Research and Extension is working to address five grand challenges facing Kansas including global food systems, water, health, developing tomorrow’s leaders, and community vitality. Scientists and extension specialists at the Northwest Research-Extension Center discover new knowledge and work with their local communities to solve current issues related to the grand challenges. 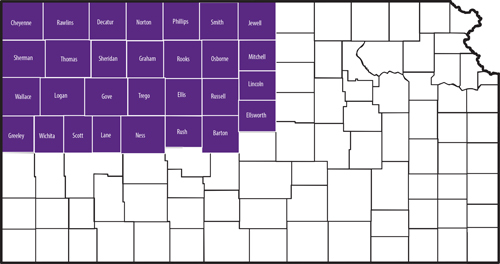 The programs and services of the Northwest Research-Extension Center are focused on 29 counties in the northwest corner of Kansas. These include: Barton, Cheyenne, Ellis, Ellsworth, Rawlins, Decatur, Graham, Greeley, Gove, Jewel, Lane, Lincoln, Logan, Mitchell, Ness, Norton, Osborne, Phillips, Rooks, Rush, Russell, Scott, Sheridan, Sherman, Smith, Thomas, Trego, Wallace, and Wichita. There are 8 faculty located at Colby. Faculty expertise is complemented by 11 full-time support staff including clerical, maintenance, and crop technician classifications. Student workers are hired for the summer field season. To learn more, please visit our faculty and staff page. The research facilities at Colby includes 23 buildings. 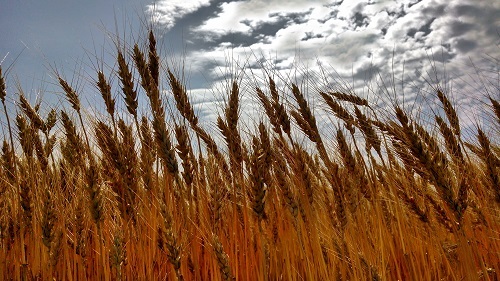 Both dryland and irrigated land resources are used for field crops research and production of foundation seed wheat or grain, hay, and silage. 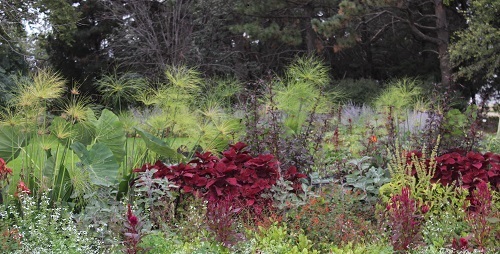 Funding comes from a variety of sources including state appropriations (salaries and wages, operating, supplemental allocations for equipment and maintenance), crop sales (fees), grants, and gifts. The Colby Branch of the Kansas Agricultural Experiment Station was established in 1914 with the purchase of 314 acres plus improvements located adjacent to the southwest corner of the City of Colby. Later, the research land base was expanded to 727 acres. In 1987, the station was given its current name, Northwest Research-Extension Center, when the Northwest Area Extension office was moved onto the station. How does K-State Research and Extension make a difference in your life? To assist in addressing one of the Five Grand Challenges, Health, feel free to use this informative county health ranking link which provides valuable county data to assist in planning and developing effective programming for our FCS and other Agents.